Enrollment for the 2019-2020 school year will open on January 28, 2019. A downloadable enrollment packet is available below. Please bookmark this website and subscribe to our email list. 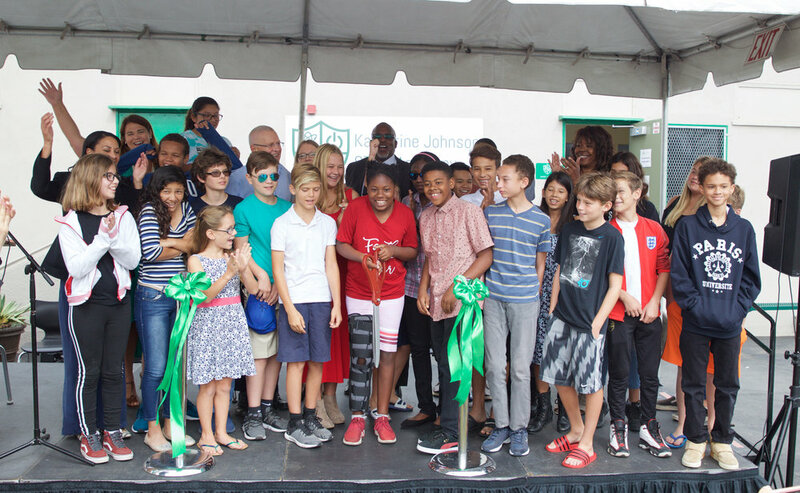 Katherine Johnson STEM Academy is the LAUSD resident middle school for our area, serving all students in the Playa Del Rey, Playa Vista, and Westchester communities. Please visit the LAUSD Resident School Identifier webpage to determine if you reside in our area of residence. If seats are available, students living outside our attendance boundary and within the LAUSD may apply for enrollment via the LAUSD Intra-District Permit (click here to download Intra-District Permit application form). If additional seats are available, students then living outside the LAUSD attendance area may apply for enrollment via the Inter-District Permit (click here to view the Inter-District Permit process). Click button above to download the 2019- 2020 enrollment packet. We will begin accepting completed application packets on Monday, January 28, 2019. IMPORTANT: Due to space limitations, mid-year current enrollment for the 2018-2019 school year is limited to resident students. The application window for the 2019-2020 school year for residents as well as intra- and inter-district permitted students will open in late January 2019. To sign up for a school tour, please visit the "Tours" link on our website.